Google Maps is turning itself into a gaming platform of sorts by opening up the technology behind it to developers. 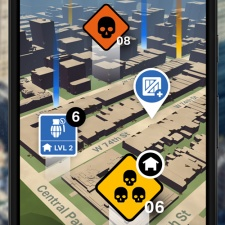 Google Maps already powers Niantic’s Pokemon Go, and is set to be utilised in Next Games’ upcoming The Walking Dead: Our World (pictured) and Ludia’s Jurassic World Alive. But now any developer can get in on the action and create real-world gaming experiences. To this end, part of Google’s offering is the release of a new SDK for Unity. Developers will have access to real-time data and over 100 million 3D buildings, roads, landmarks and parks from more than 200 countries to use as the foundations for their games. You can check out more about Google Maps APIs right here.